This Portland mother of three would know. 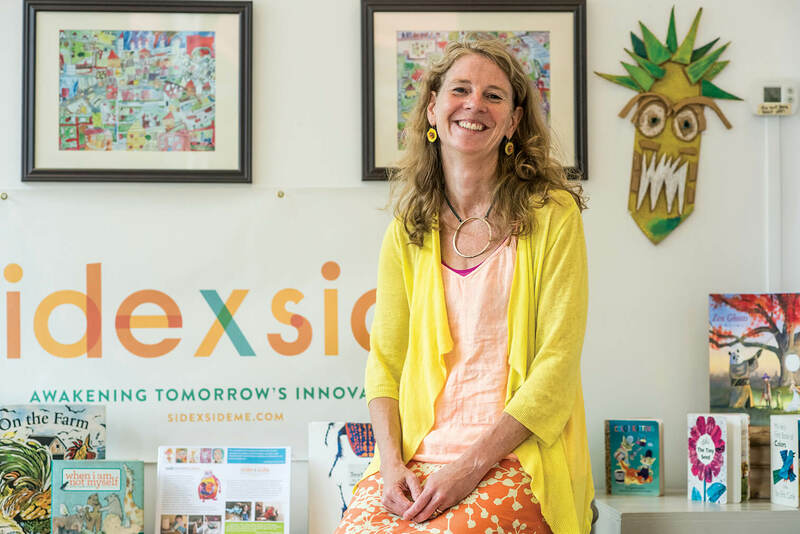 In addition to raising her own children—Matheo, Mikeal and Anneke—with her husband Jos, Wilbur Van Mierlo is actively engaged in Portland Public Schools through her non-profit organization Side x Side. “It takes a community working side-by-side to educate and support the next generation of students,” she says. 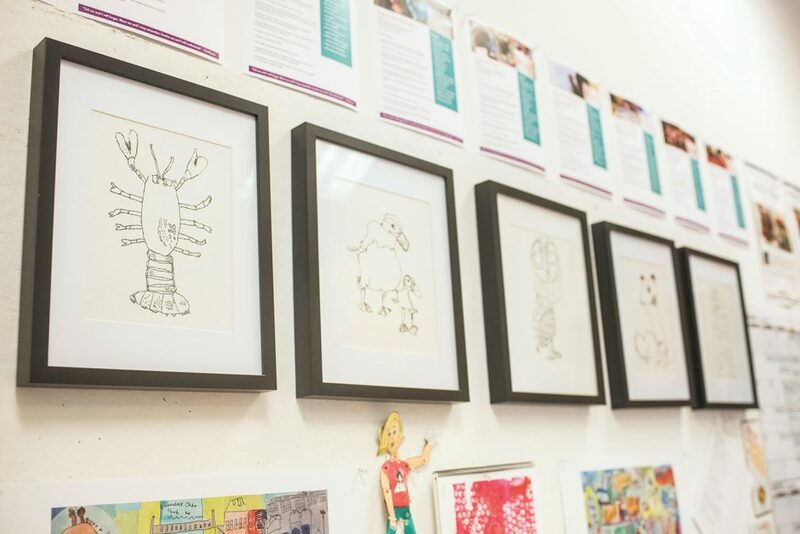 Specifically, this organization encourages school administration and teachers to work alongside teaching artists with the goal of enhancing the standard curriculum from kindergarten to high school through arts integration. The approach promotes critical thinking, creativity and innovation without changing the core curriculum. Since its founding in 2013, Side x Side has been well received by teachers, parents and especially students. During the most recent school year, 19 teaching artists worked in more than 80 classrooms reaching about 1,800 students. The concept for Side x Side began less than a decade ago while Wilbur Van Mierlo volunteered as a teaching artist at Howard C. Reiche Community School in Portland. One of the first projects she developed encouraged students to think about how they viewed themselves and how their community perceived them. Wilbur Van Mierlo asked the students to sum this up into one descriptive word, which was then stitched in red thread within each students’ self-portrait. The final pieces of Threads, the Ties that Bind Us were displayed in a downtown gallery with a continuous red thread joining each portrait to represent the interconnectedness of community. Shortly after founding Side x Side, Wilbur Van Mierlo was approached by Kelly Hrenko, art department chairs at the University of Southern Maine, seeking internship opportunities for the university’s undergraduate students. The scope of Side x Side projects is equally amazing. In kindergarten, teachers promote literacy through dance and music. Second graders combine science with literacy, math, sculpture and illustration to learn about the ocean. History is brought to life for fifth-grade students through film-making, public speaking and acting. High school students explore engineering, computer technology and design in the “ARTronics” program, which highlights the intersection of art and technology. “A student doesn’t have to love art to engage and learn while having fun,” says Wilbur Van Mierlo. Like hiding healthy ingredients in brownies, “amidst all of the direct learning, students (participating in Side x Side programming) are also learning invaluable life skills, including, but not limited to, collaboration, teamwork, public speaking, risk taking, critical thinking, presentation of knowledge and skills. “I started Side x Side as a way to change the landscape of education,” she says. Her goal now is to secure sustainable funding to continue growing the programs and hopefully expand to more schools. “We would love to teach in other school districts. It is just a matter of securing funding to make that happen,” she says. For more information about Side x Side, go to sidexsideme.com.